Dewar Flight cases are built using Penn Elcoms world leading hardware and case panel making materials. All our cases are manufactured using double-angle extrusion for ultimate strength and durability, making them the perfect solution for presentation cases, sales kits, promotional cases, carrying cases, and shipping cases. They are also an ideal option for OEM applications when you need to build your equipment and instrumentation directly into a case. At Dewar Flight we do not believe in “standard”, we want all our customers to be able to collaborate with us, purchasing a fully bespoke solution with no price premium or extended lead times involved. Whether you are looking for a small lightweight case or a large heavy-duty case we will design a solution which fully meets your operational, marketing and budgetary requirements. Dewar Brothers has over 40 years’ experience designing and manufacturing bespoke packaging for clients across a diverse range of industries. 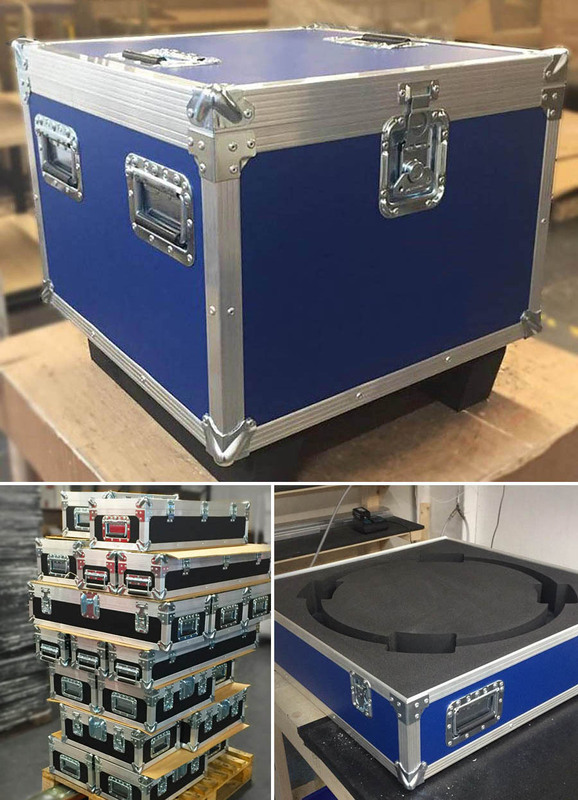 Our team will be happy to design and manufacture foam inserts and internal furniture to make your Dewar Flight case fully customised, providing the ultimate protection for your valuable equipment.